Nowadays many fishermen looking for a modern and promising way to attract fish close to their boat, especially at night. 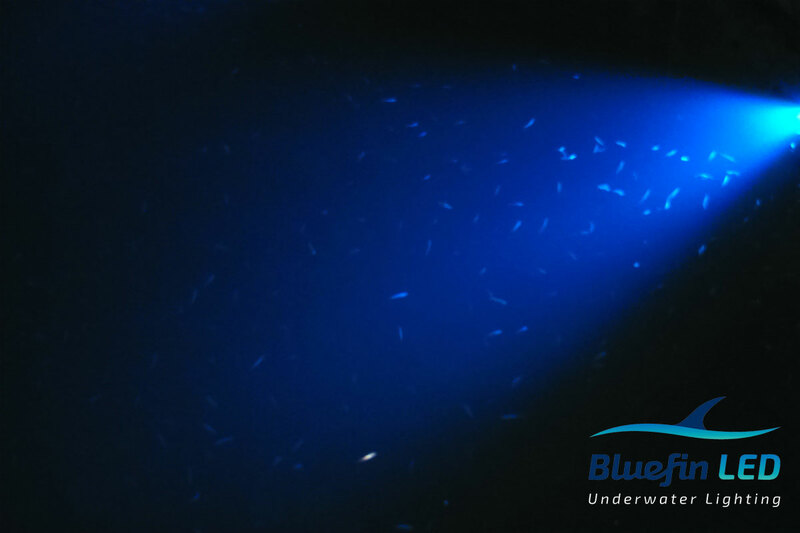 With the development of the underwater boat lighting, much more for aesthetic reasons, scientific research also showed that all members of the food chain, that a fish may be attracted to, have eyes sensitive to the colors blue and green. This probably evolved because the water these animals live in is blue or greenish in color. So, when your boat is “attractive” to a fish’s food, will be attractive to the fish, too. Fishing lights fall into two different groups: those that are portable and those that are permanently mounted. Generally, portable lights are powered by batteries and this sets practical limits to the kind of light that can be used. Most portable light sources are relatively low in light intensity and have short operating times. Lights drawing more than a few tens of watts are not practical. The old classic, a 12 volt automobile incandescent headlight mounted on a Styrofoam float ring, is probably the least expensive and lasts for a few hours before the battery is discharged. Battery-operated fluorescent lamps are three times more efficient in converting electricity to light. Therefore, comparing lamps of similar brightness, they can be operated about three times longer before the battery is discharged. Also, the operating lifetime of fluorescent lights are about ten times longer than incandescent lights. Commercial portable fishing lights based on fluorescent lamps vary widely in intensity. The best use 25-40 watt lamps that emit about 1000–3000 lumens per tube. Nowdays, the best option is the LED lights, because of their low consumption and high performance, but you will not find something with a good and useful light output in the market, as far as we talk about portable lights. However, a portable device… remains portable and you need a professional solution, instead of changing bulbs too often, or try to find a way to mount the light somewhere in the boat. In this case, the mounted underwater LED lights can easily solve the problem. And we are talking especially about the LED lighting, because of the low consumption (as already known), and also because of their high light output. 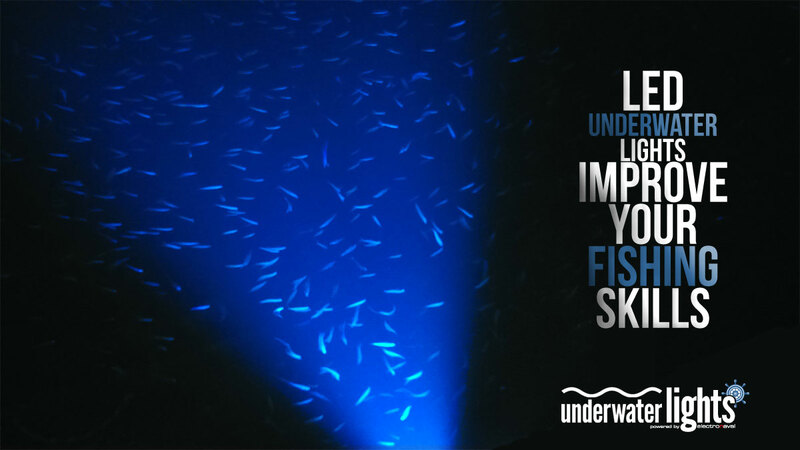 In case of mounted LED underwater fixtures you will find products that offer you some thousands of Lumens (a measure of the total visible light emitted by a source – the larger the better) in any colour, and none of the portable lights can be compared to this for sure. You may also find fixtures that you can operate wirelessly or change their light colour when you touch a single button, even by your smart phones. They absolutely worth the money because your boat earns many aesthitic points and the fishing results are amazing! Especially for boats up to 5m, where usually there is only one 12V battery, the LED underwater lights is the best option when it comes to the power consumption (for example, one LED underwater light at 750 Lumens consumes only 0.5A). So, it’s very important for you to know that you will use your LED underwater lights all night long, without worrying about the power consumption. 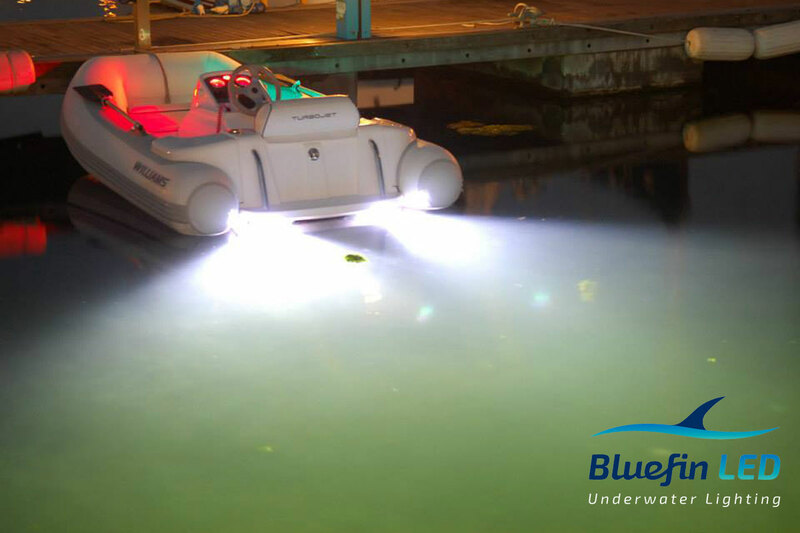 It’s no coincidence that many fishing teams around the world equip their fishing boats with LED underwater lights. The Results are surprisingly unbelievable! In our web site you’ll find plenty of options, according to the size and the type of your vessel. Our team will help you choose what you need!